Premier Rachel Notley was obviously anticipating questions about pregnant MLA Stephanie McLean in her news conference at the legislature Wednesday afternoon. 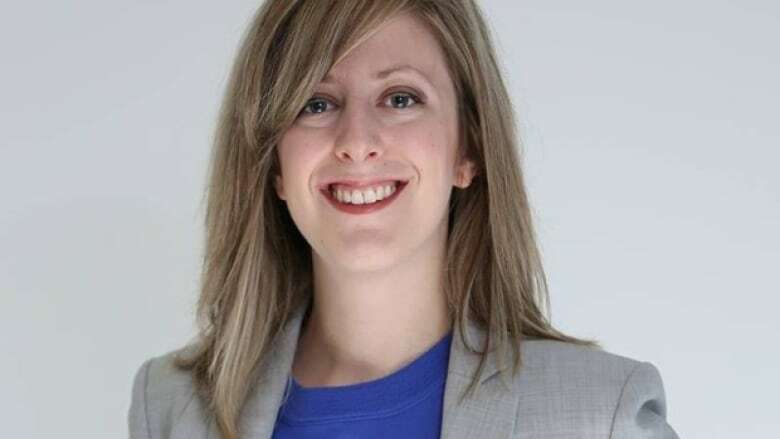 McLean, the NDP MLA for Calgary-Varsity, is prompting a change in legislature rules now that she is the first MLA in Alberta history to be pregnant while in office. 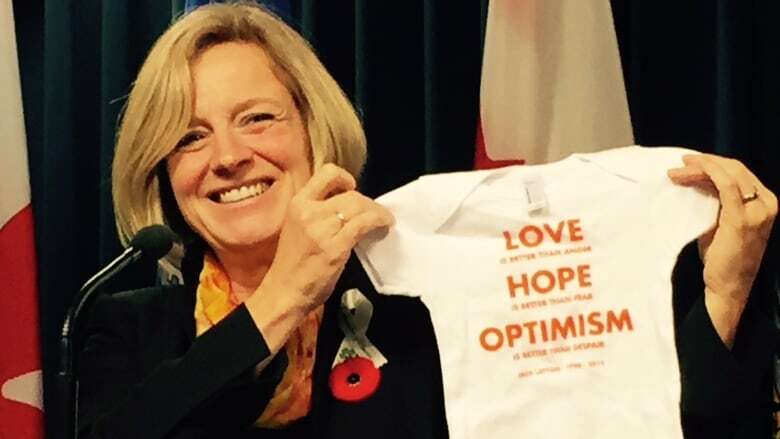 After answering a question about McLean, a beaming Notley reached for a baby's onesie, holding it up with the front bearing an inscription from late NDP leader Jack Layton's famous "love is better than anger" letter. "We're very much looking forward to the new caucus member that we will be having and I look forward to giving her the Jack Layton onesie," she said. McLean's pregnancy has cast a spotlight on what Notley calls "archaic" legislature rules, which the premier promises to change. MLAs currently can't take parental leave because they don't pay into employment insurance. As well, they are docked $100 a day if they miss more than 10 legislature sitting days, unless the absence is due to illness, bereavement or public duties. McLean is due in February. If the rules can't be changed before then, Notley said the issue could be dealt with in the members services committees. Notley said the rules would not survive a charter challenge and must be changed. "We are looking at different ways to fix it," Notley said. "But we will fix it and we will make sure that [McLean] suffers no economic loss."